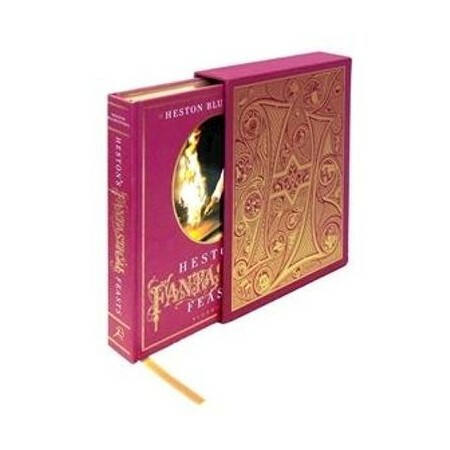 A sumptuous, signed special edition of Heston's latest culinary adventures inspired by fairytales and childhood nostalgia. With gold edged pages, gold ribbon and gold illustrated cloth slipcase, each signed and numbered special edition is sumptuous and ultra-desirable. Once upon a time there was a Chef called Heston who opened a small restaurant called The Fat Duck. At first, he served only simple French classics but gradually, as is the way of things, the Chef's curiosity got the better of him and he began thinking up more unusual dishes, such as Snail Porridge and Chocolate Wine. 'Well, how about lickable wallpaper, a savoury Zoom lolly, a chocolate covered iceberg, a golden egg and an edible graveyard?' offered the Chef.